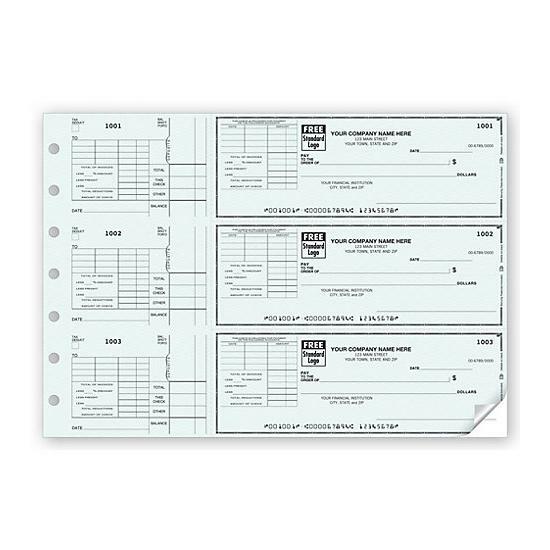 Item#: 53224DS Size: 12 15/16 x 9"
This perforated voucher makes record-keeping easy, with a detachable end-stub. Built-in check security. 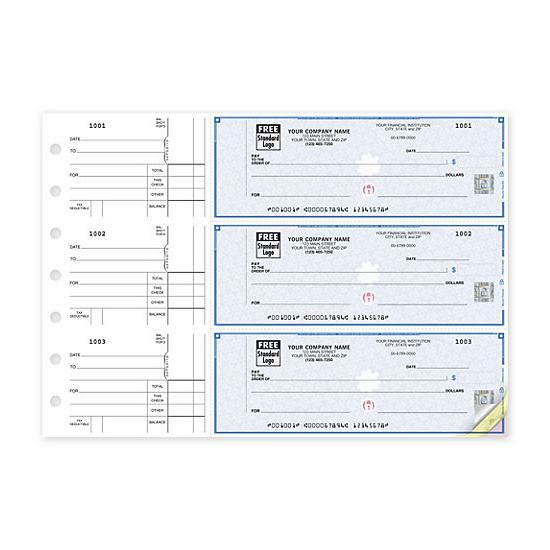 Trusted by 7,000 financial institutions nationwide, built-in check security has features such as chemically sensitive paper, microprint border, invisible fluorescent fibers, erasure protection, security screen & warning box. 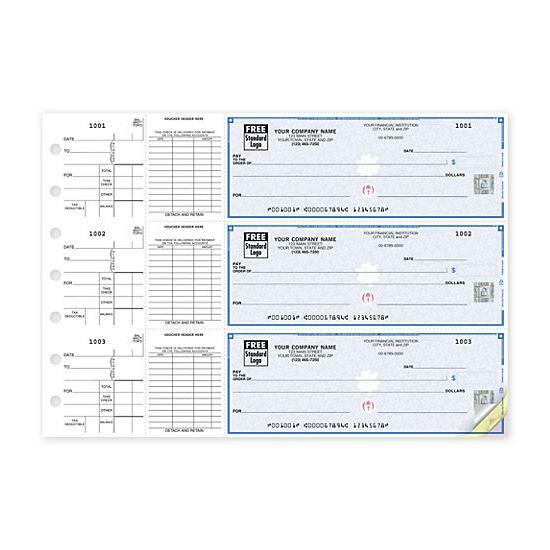 Additional NEW check security features! The top 5 visible security features of our high security checks include the following: heat-sensitive ink, visible embedded fibers, chemical-wash detection area and, true watermark. NEW Safety Hologram feature! The new Safety Hologram feature, a multi-dimensional foil seal hot stamped to check stock and cannot be photocopied. includes 7 of the 22 new security features. 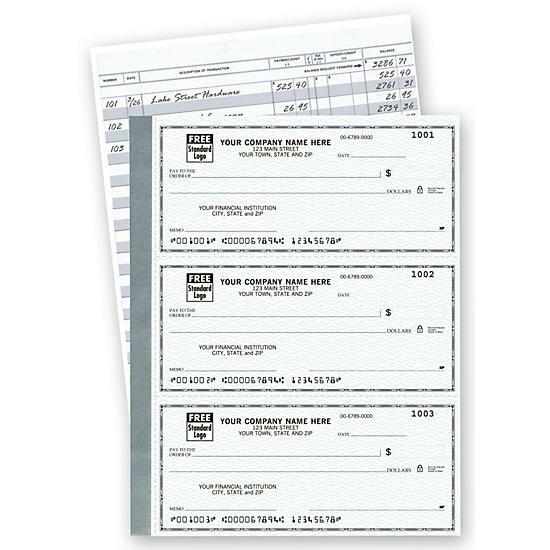 Multiple styles: Choice of voucher styles.